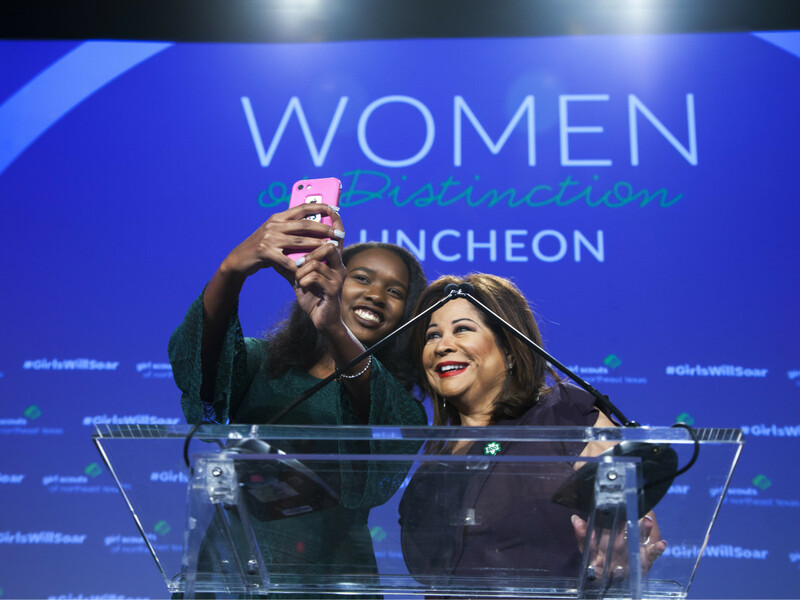 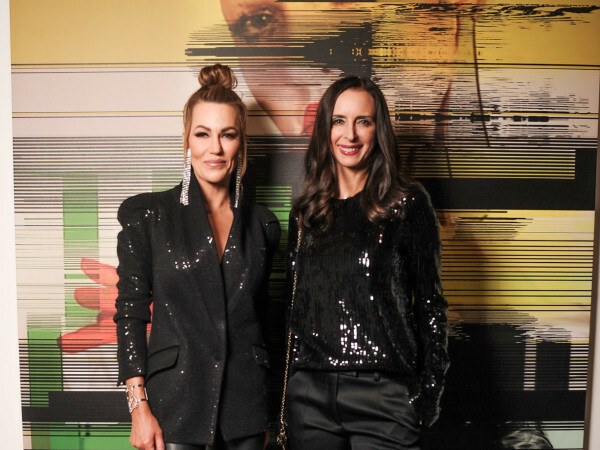 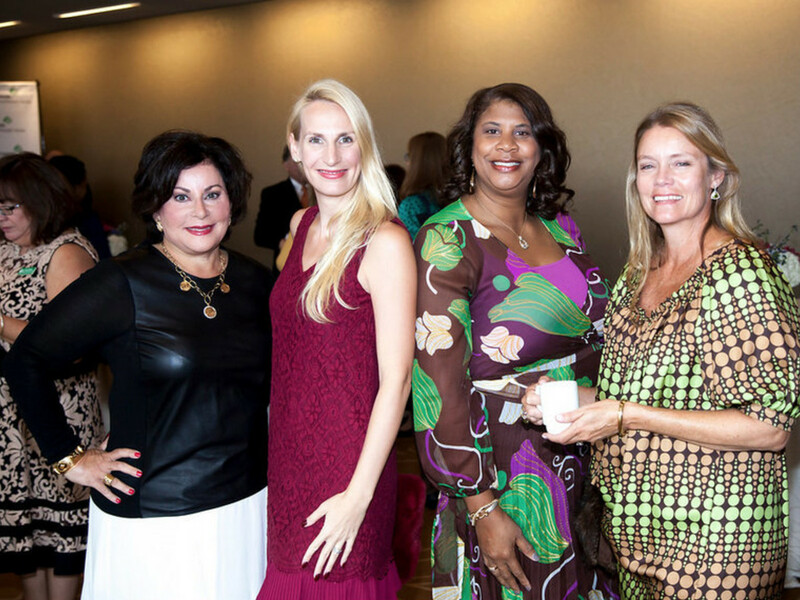 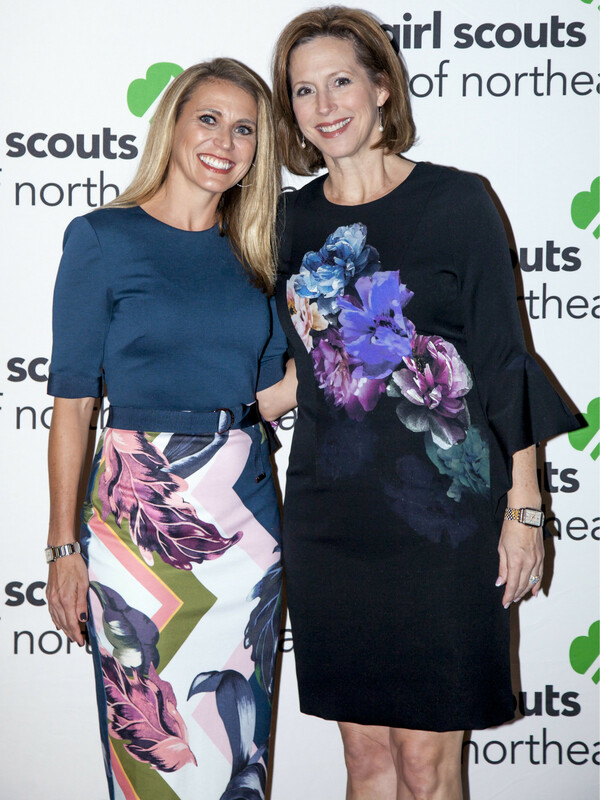 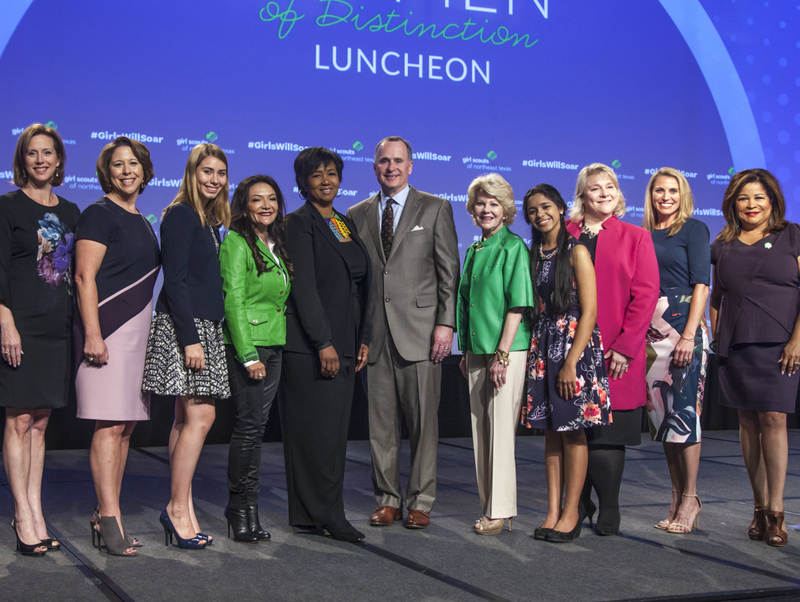 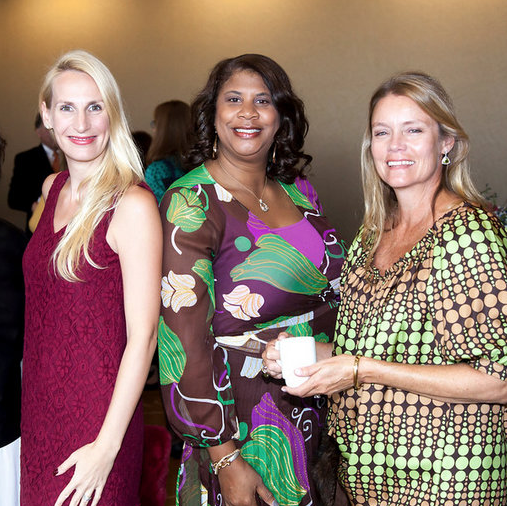 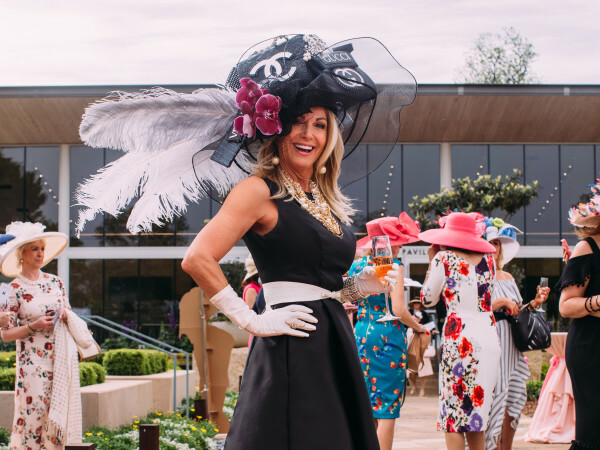 The 411: Event co-chairs Susan Glassmoyer and Laura Downing welcomed hundreds of passionate patrons to downtown Dallas for this annual luncheon that recognizes outstanding women leaders of all ages for their service to the community. 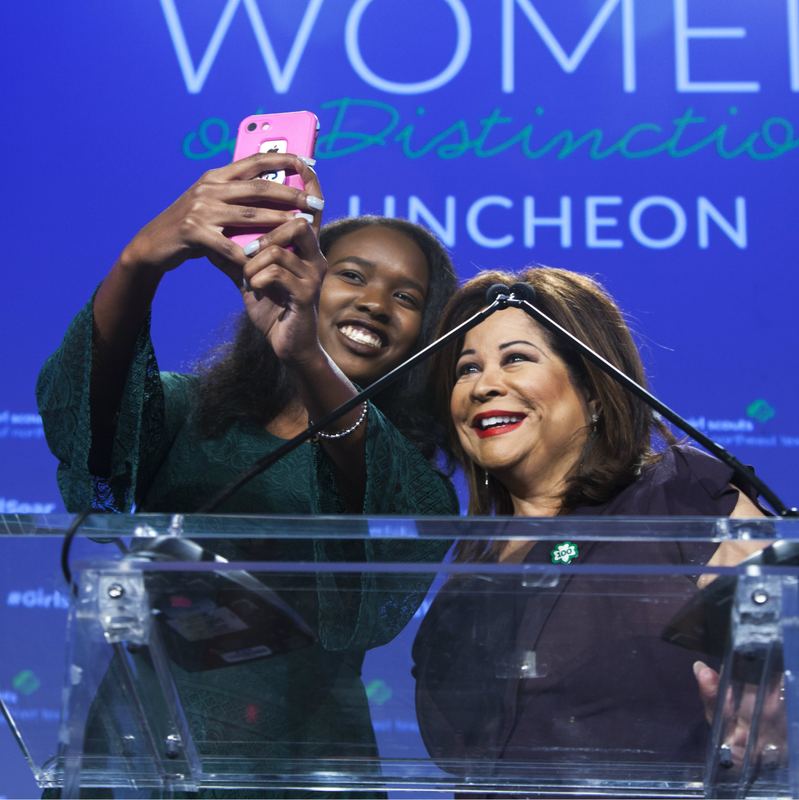 This year’s award recipients included Sara Martineau and Nina Vaca, who received the Women of Distinction Award for their advocacy on behalf of girls. 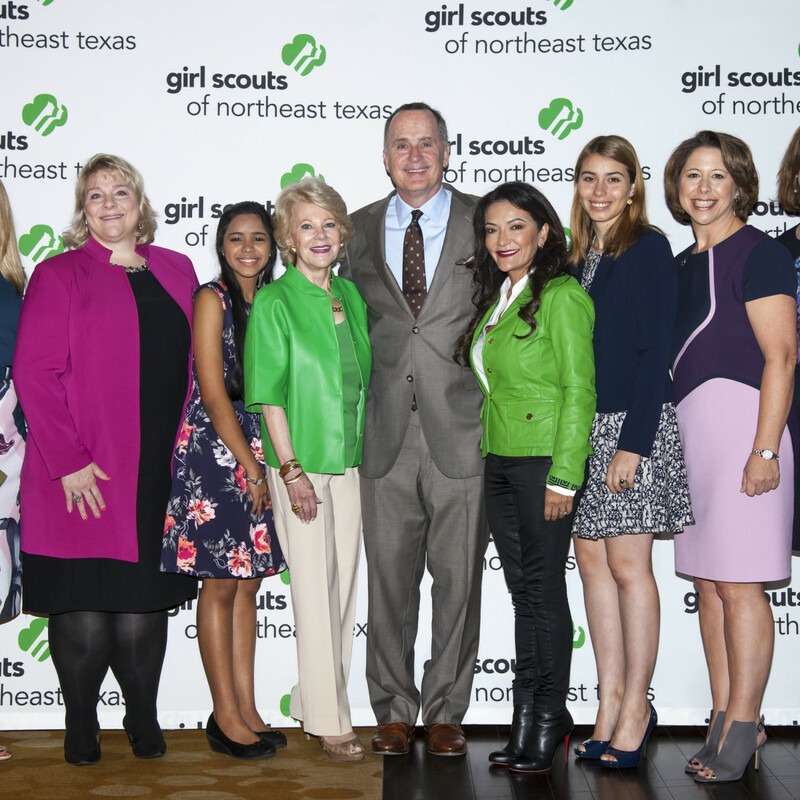 Current Girl Scouts Shelly Goel and Emma Rose Shore were named Young Women of Distinction. 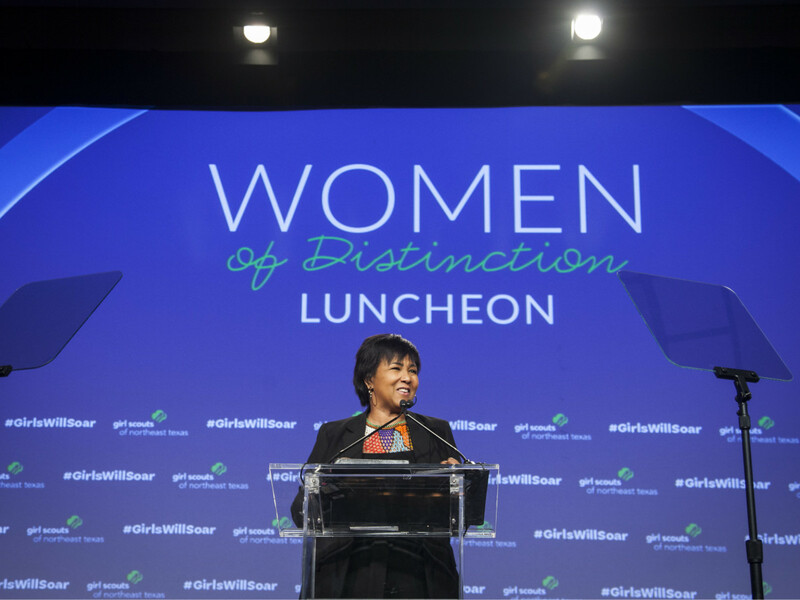 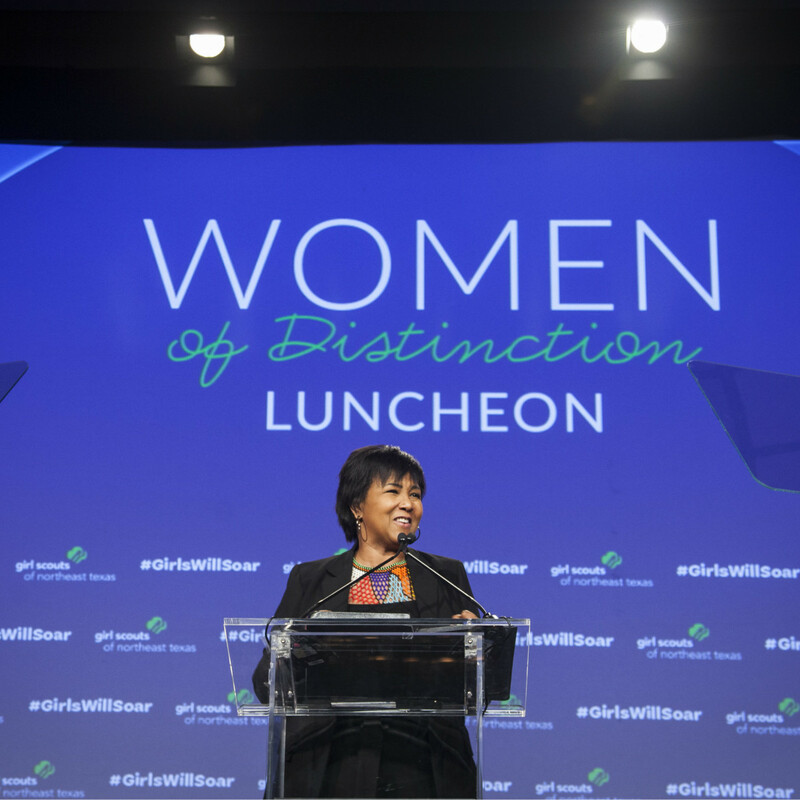 The luncheon keynote speaker, Mae Jemison, was the first woman of color in space and one of the 90 percent of female astronauts who were Girl Scouts, the organization says. 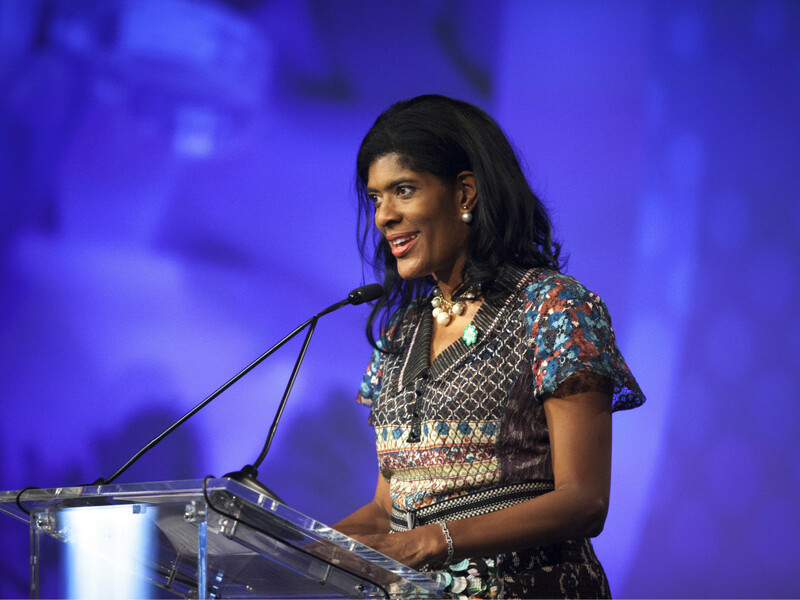 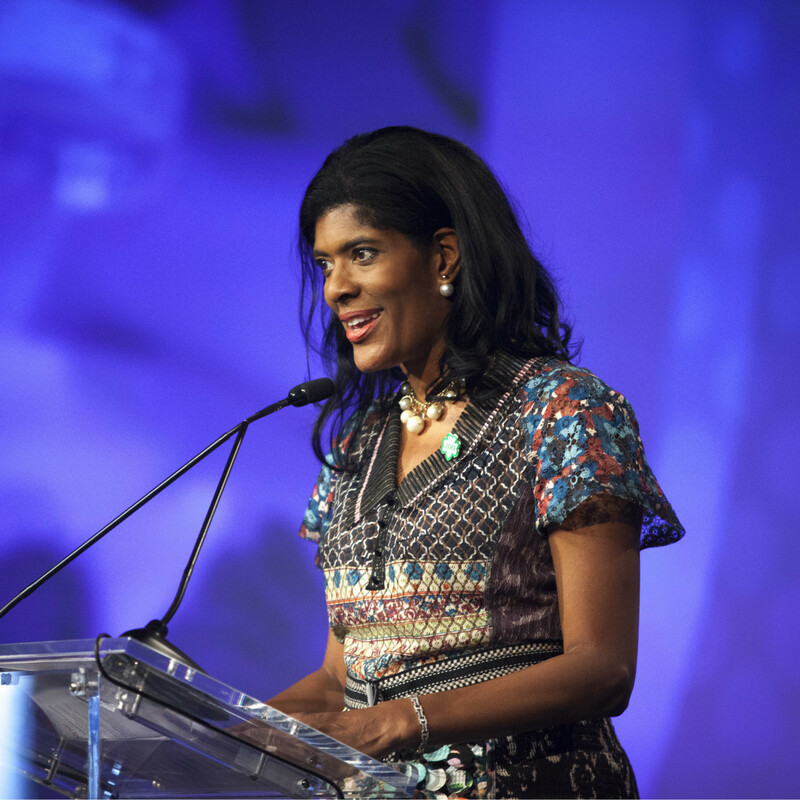 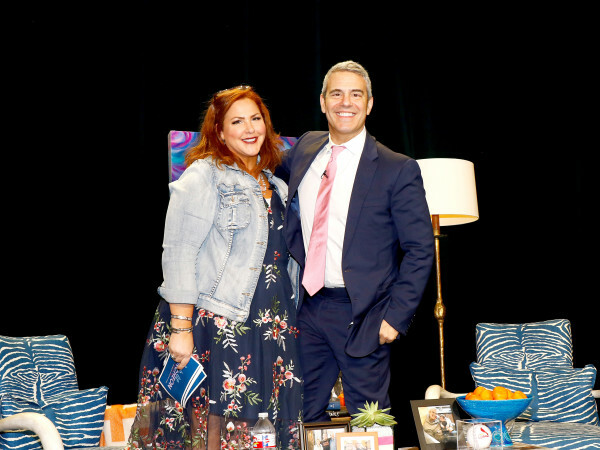 She encouraged attendees to bring all facets of their personalities to any challenge they face — and to dare. 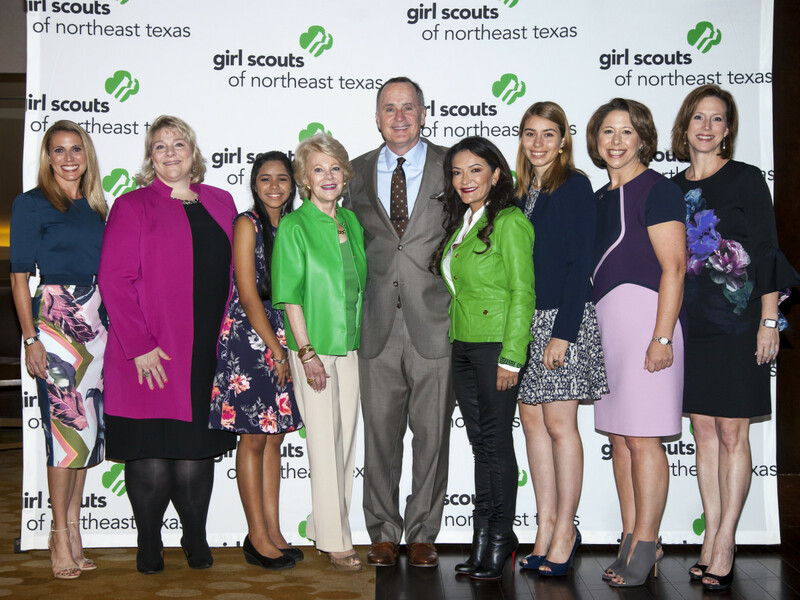 Another fun detail: A box of Thin Mints was set at each place on the tables, a gift from Marianne and Roger Staubach. 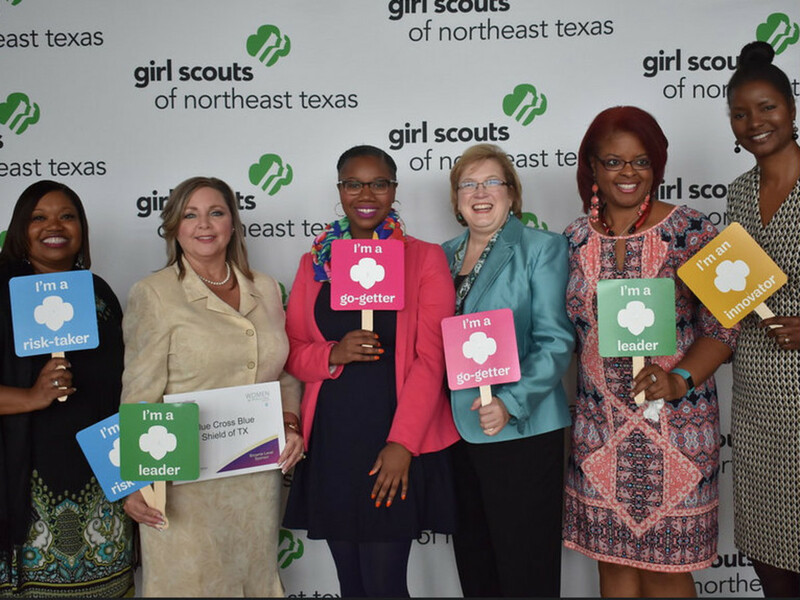 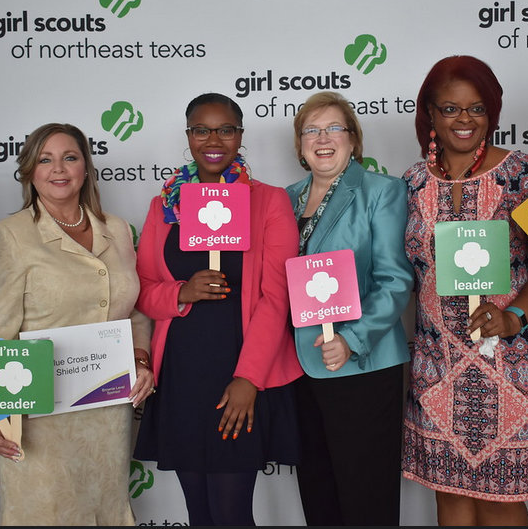 More than $460,000 was raised for Girl Scouts of Northeast Texas, which serves more than 26,000 girls and 12,500 adults in 32 northeast Texas counties. 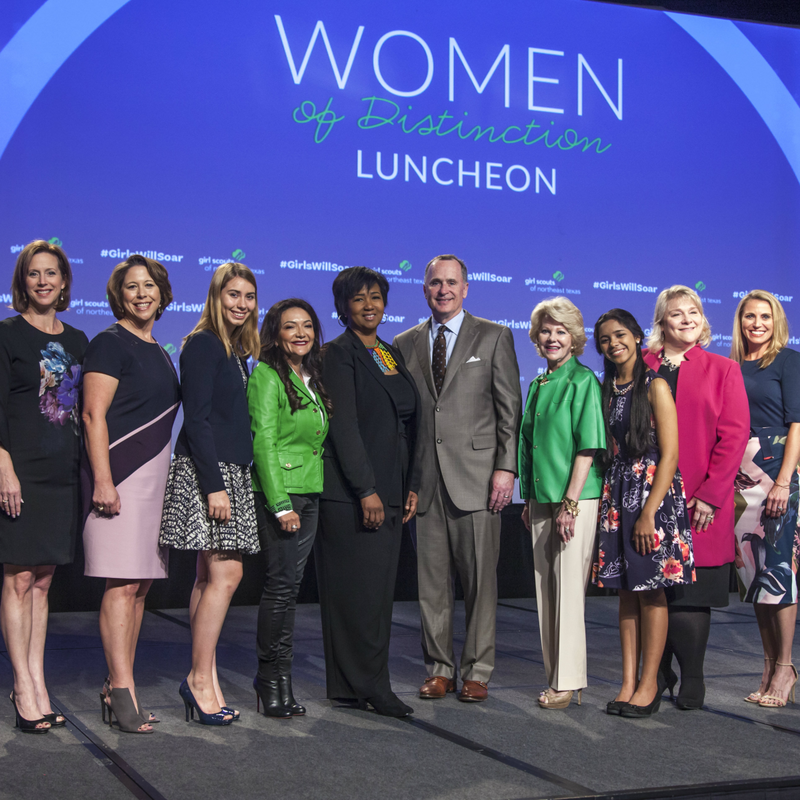 Who: Nancy Ann Hunt, Lisa and Clay Cooley, Melissa Arnoldi, Kent Eastman, Peter Balyta, Jennifer Staubach Gates, Jason Downing, Connie O’Neal, Minnie Ruben, and Carol Seay.